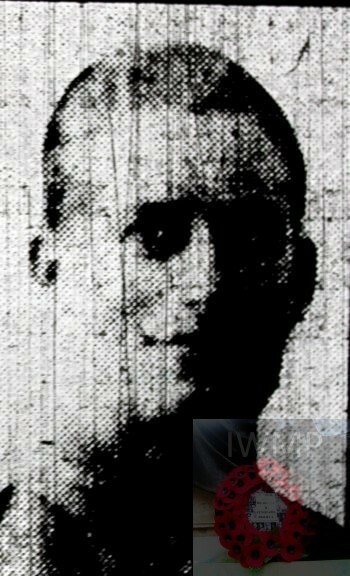 Died: 28th April 1917; age 21; KiA. Residence: 7, Ashmere Grove, Ipswich. Regiment: Suffolk Regiment, ‘A’ Coy, 7th Battalion. Relatives Notified & Address: Son of James & Alice Aldous, of 5, Nottidge Road, Ipswich. 1901 134, Lacey Street, Ipswich. James was 5 years old and living with his parents & siblings. James Aldous, 36, a Police Constable, born Belstead, Suffolk. Alice Aldous (nee Block), 33, born Ipswich. Edith Mary Aldous, 11, born Ipswich. John William Aldous, 10, born Ipswich. Eva Alice Aldous, 7, born Ipswich. Ethel Esther Aldous, 3, born Ipswich. 1911 7, Ashmere Grove, Ipswich. James was 15 years old & Blacksmith Learner. He was living with his parents & siblings. James, 46, a Police Sergeant. Edith, 21, a Tailoress – Coat Hand. John, 20, a Threshing Machine Erector. Eva, 17, a Tailoress – Coat Hand. Bertie Joseph Aldous, 9, born Ipswich. Cecil Frank Aldous, 5, born Ipswich. Soldiers’ Effects to James Aldous – father. James is also remembered on the war memorial at Christ Church, Tacket Street, Ipswich. 1 Pings/Trackbacks for "JAMES EDGAR ALDOUS"